Drive Modo and only pay a flat rate of 2.5 hours between 7PM-9AM. Drive More for Less Overnight! 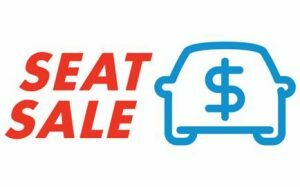 We’re making it more affordable for you to get around this time of year by offering lower overnight rates. 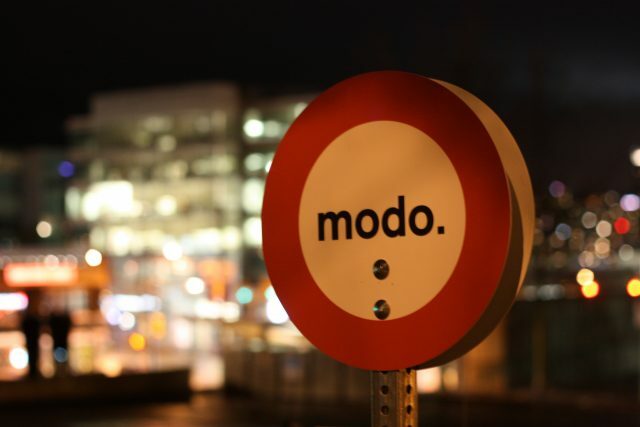 When the rain is tapping at your window and you’re meeting up with friends — or you’re doing some shopping after work — book a Modo and keep it until the next morning at the lowest rate in town and on the road! Book a Modo from 7PM-9AM and only pay a flat rate of 2.5 hours. Lower overnight rates apply to Modo Plus, Monthly, and Business accounts with our entire fleet including: daily drives, larges & loadables, and oversizes & premium! As we get closer to the holiday season, the first thought the fleet team has every year is preparing Modos for the winter and making sure they’re safe on the roads. Learn more about our winterized fleet and how to search for the right vehicle for your winter adventures. 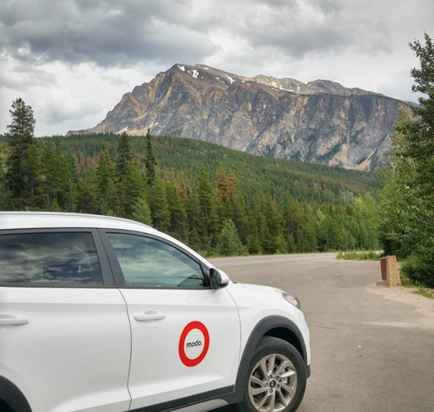 Fun Fact: We have 100+ vehicles equipped with winter tires, including the entire fleet in Kelowna! Last month we announced a vacancy in our board with a call for expression of an interim Board Director. We're pleased to announce Modos newest interim Board Member - Ruth Legg. Thank you to all members who expressed interest in the interim Board Director position - we appreciate your interest in joining the board! Stay tuned in December when we announce our new Treasurer. Read more about the announcement, our new board, and a welcome note from Ruth Legg. 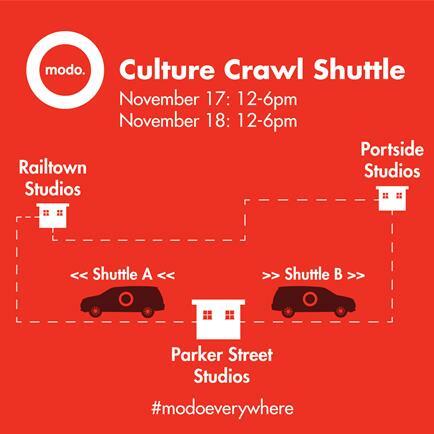 As part of our sponsorship of the Eastside Culture Crawl, Modo is offering FREE Crawl Shuttles on November 17-18 from 12pm - 6pm. 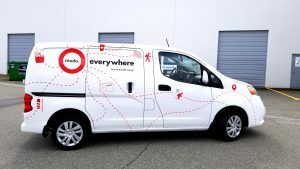 The Modo minivans leave Parker Street Studios, Railtown Studios, and Portside Studios in a clockwise and counterclockwise loop every 30 minutes. Modo members can park their Modo in the VIP stall right outside the Mergatroid Building, marked with a Modo sign. First come, first serve! 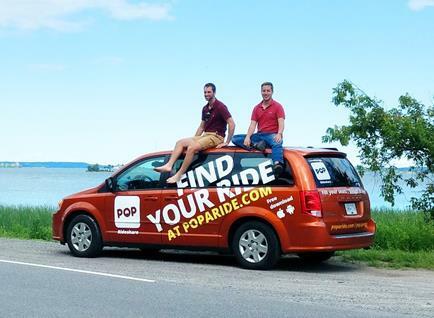 Poparide is Western Canada’s largest rideshare platform, used by thousands of people who love to get out of the city and into the great outdoors. 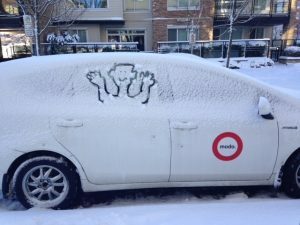 Use Poparide to fill your empty Modo seats to reduce costs when driving to Squamish, Whistler, Tofino, Seattle, and beyond. Read more about our collaboration with Poparide and how to fill empty seats on your next trip! Have you enrolled in the Modo Damage Pool? Members who join the Damage Pool reduce their damage fee to $0, even for at fault accidents. For only $50 annually, eligible members can join the Damage Pool to minimize risks in the event of an accident. Moving is common, and we all know the process all too well! As a Modo member, you have full access to our large & loadable vehicles perfect for moving items like furniture, heavy machinery, or entertainment systems. Read the Modo Member feature and how to maximize the Nissan NV for your next move! Book the Nissan EV 200. Another year has come and gone in celebrating Co-op Week at Modo! 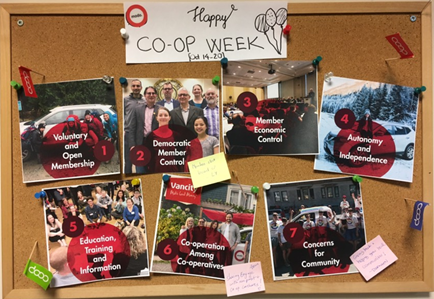 From October 14th to 20th Co-ops all across Canada came together to celebrate what it means to be a cooperative. To celebrate, we asked our staff to reflect on Modo as a cooperative and how we're living up to the co-op principles. Check out their answers and other fun suprises we had with local cooperatives. Save 10% off your entire booking until Nov 30th with Modo's Seat Sale! Note: Any bookings made during the Seat Sale period will automatically have the discount applied. The quick poll is back! Tell us more about your experience using Modo’s low overnight deal. Take the November Quick Poll. 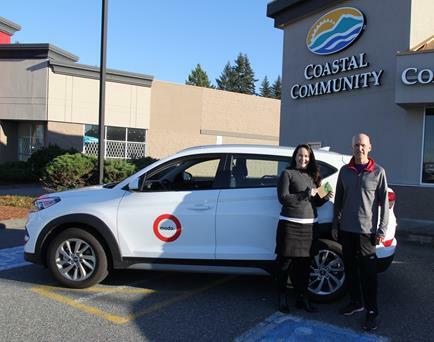 >> New Partnership: Coastal Community Credit Union (CCCU) & Modo partner together to increase sustainable transporation on Vancouver Island. Read the press release here. >> Pro Tip: Take a break from your phone! Did you know that distracted driving is responsible for 28% of all crash fatalities in British Columbia. 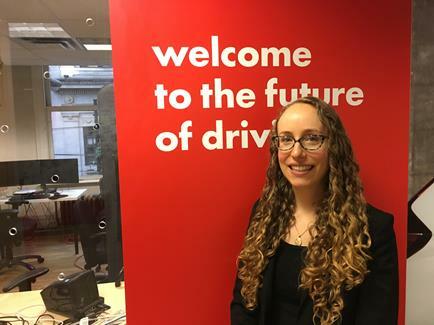 At Modo, our primary concern is your safety when you're on the road, which is why we're proud to support ICBC's campaign against distracted driving. >> Checking for Damage: Have you ever noticed a clear, numbered sticker on your Modo? It’s there because a member let us know about damage to the vehicle. 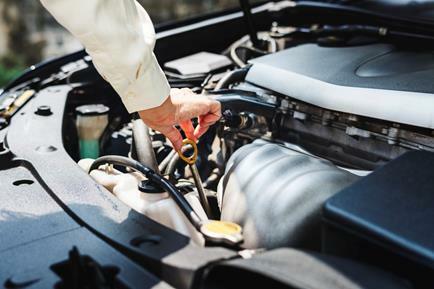 Help do your part and find out how to report any damage to your vehicle before taking it on the road. Featuring local and international short films about cycling - join HUB for an evening of beer, popcorn, prizes, a silent auction and the awesome cycling community! Ticket sales will support HUB Cycling and the Better Biking Fund. Join us on Wednesday, November 21st at Vancity Theatre for a screening of The Social Shift documentary about social entrepreneurs making a change in communities across Canada, followed by a panel discussion. Find out more here. 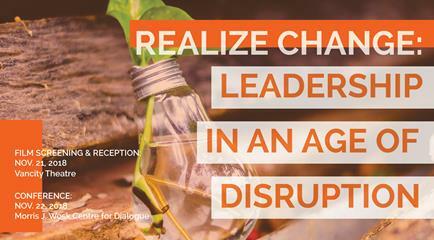 Join our CEO, Patrick Nagle, at Morris J Wosk Centre at the Realize Change conference for an interactive and immersive journey with thought leaders from across Canada. This is an event you won't want to miss! Reserve tickets here.